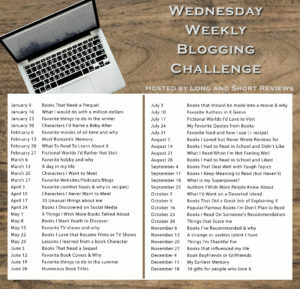 My answer to this week’s prompt is going to be much shorter than it was last week for the recipes topic. I’m the sort of reader who tries to find the good in every character I read about or watch in a show so there aren’t a lot of them that I truly wouldn’t want to spend time with under any circumstances. With that being said, I was able to come up with five answers for this question. 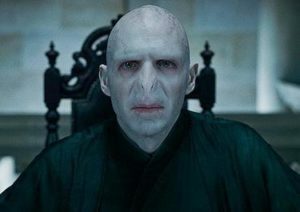 Voldemort. He’s honestly kind of self-explanatory. Who’d want to hang out with someone who would put a death curse on a baby among many other terrible deeds? No, thank you. There are plenty of other Potterverse characters who would be much more pleasant to meet. Reavers. For anyone who hasn’t watched the sci-fi television series Firefly, these creatures were the violent antagonists in that universe. If they stumbled across your ship, you were doomed to a painful death. I refrained from sharing a picture of them in this post because I know that some of you fellow participants really dislike horror stuff, and they’re not exactly cuddly-looking bad guys. If you want to see what they look like anyway, click here. 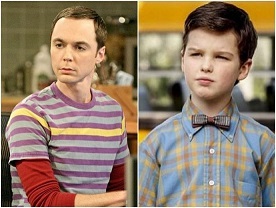 Sheldon Cooper as an adult and as a child. Sheldon Cooper. This character is part of the reason why I stopped watching The Big Bang Theory so soon after starting it. It’s one thing to set rigid rules for how you live your own life, but forcing others to follow them is something I have little patience for in real life as well as in fiction. I don’t think he and I would get along at all despite sharing many common geeky interests. 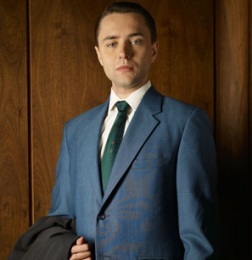 Pete Campbell. Pete was a smug and abusive character on the 1960s period drama Mad Men. He got away with the violent, awful things he did because of how manipulative and superficially charming he was to people who hadn’t gotten to know them yet. Anyone who scratched below that thin veneer, though, would know that he’s not someone anyone should be spending time with…especially alone. Serena Joy. 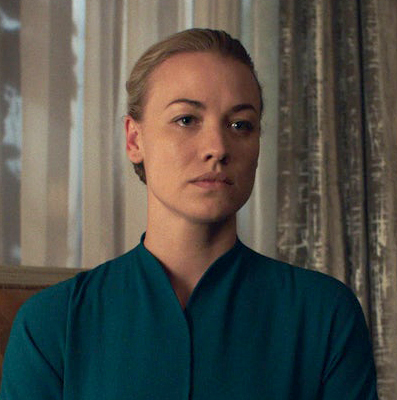 Anyone who has followed this blog for the past few years probably remembers the many references I’ve made to The Handmaid’s Tale TV show and book. There are many frightening villains in this universe, but I’d argue that Serena is the worst because of how unpredictable and volatile she is. One minute, she’ll act like your best friend, and the next she’ll begin hitting you for no reason at all. Scary stuff!